Join our master pastry chefs to learn how to make, bake, fill and decorate this classic of the French pȃtissier's art. 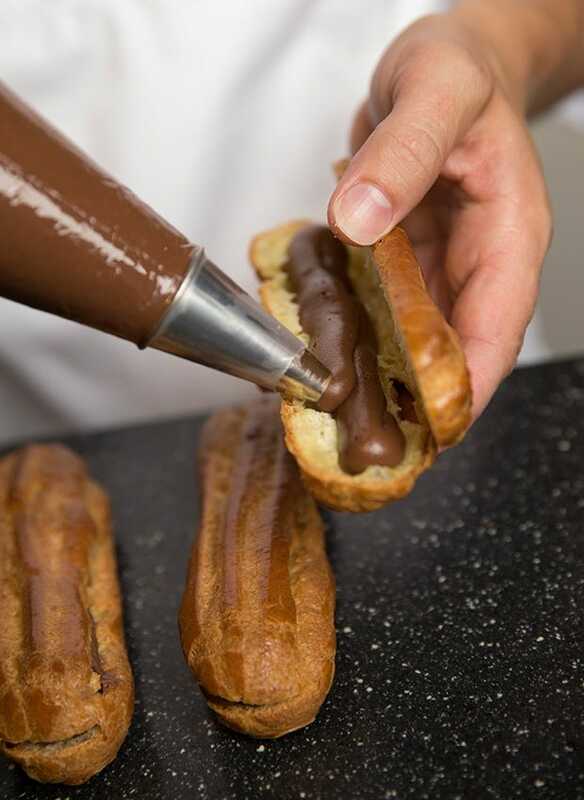 Whether you have already attempted choux pastry, or you want to improve your skills, this course is designed to teach you how to bake beautiful éclairs with success, every time. You will bake and take away chocolate, coffee and fresh fruit éclairs for a feast of sweet French favourites, mastering both crème pȃtissière and fondant icing. At the end of your class you will enjoy delicious sharing platters and drinks and you will take away plenty of extra PAUL goodies along with the skill and confidence to bake impressive éclairs at home and some ideas about how to use choux pastry to create simple savoury snacks. Locations: PAUL Covent Garden from January 2018. Days/Times: Monday, Tuesday and Wednesday evenings, 6.00 pm - 9.00 pm inculding food and drinks after your class. The evening generally ends at around 9.30 pm. Cost: £90.00 per person. BOOK NOW. Whether you have never made pastry in your life or want to improve or expand on your pastry-making skills, this course will provide you with the knowledge and expertise to turn out classic French tartes and tartelettes at home that taste every bit as good as they look. You will learn the fundamentals of successful sweet pastry making and baking. 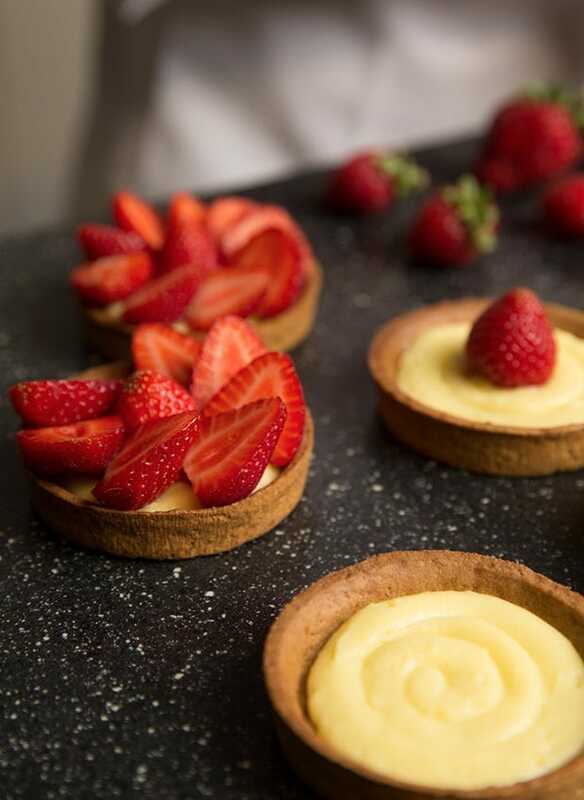 You will bake and take away with you a Tarte au Chocolat, Tartelettes Fraises - complete with crème pȃtissière filling - and Tartelettes Framboises Frangipane. After your class you will enjoy delicious sharing platters and drinks and you will take away plenty of extra PAUL goodies and the skill and confidence to bake gorgeous French tartes and tartelettes at home. Days/Times: Tuesday and Wednesday evenings, 6.00 pm - 9.00 pm inculding food and drinks after your class. The evening generally ends around 9:30 pm.